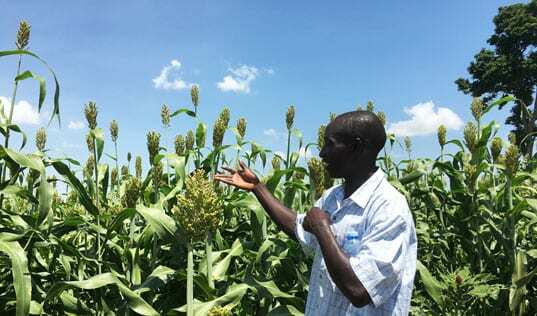 Continents apart, a bakery owner in Kenya and a food scientist in Minnesota team up to develop delicious new products that boost nutrition for local communities. 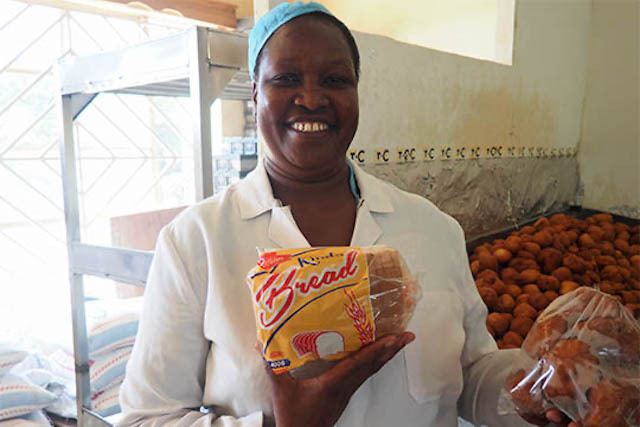 After participating in the SAFE program, Kinda Bakery increased revenues by 23 percent, and can now sustainably produce nutritious snacks and breads for local communities. As a trained nurse by profession, Caroline Adongo Obuya quickly recognized the potential of local, orange-fleshed sweet potatoes to provide health benefits to her community in Kendu Bay, Kenya. 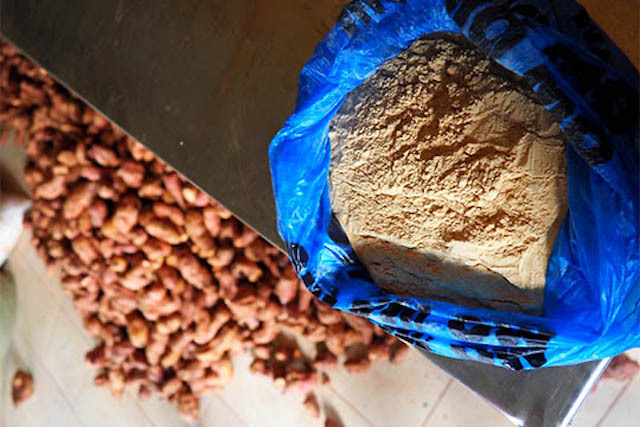 Packed with vitamin A, these sweet potatoes provide valuable nutrients for people living with HIV/AIDs, and decrease the risk of certain cancers and eye diseases. In 2014 – noticing an excess in local sweet potato production and motivated to increase her community’s access to delicious and nutritious foods – Caroline launched Kinda Bakery. Using solar-dried sweet potato flour supplied by neighboring farmers, Caroline began making chapatti and eventually, fresh bread. Caroline’s initiative did not go unnoticed. 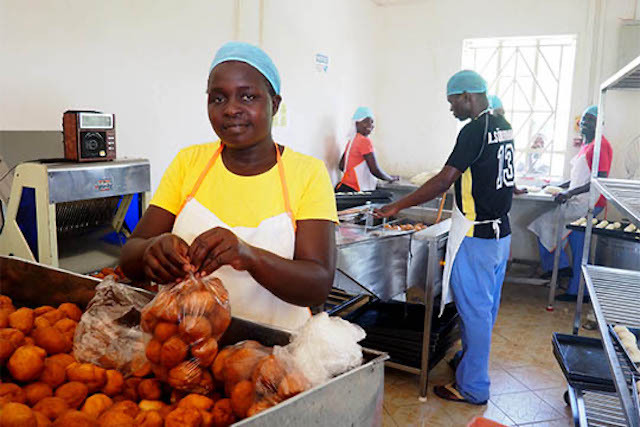 The U.S. Agency for International Development’s (USAID) Kenya Horticulture Competitiveness Project – which was promoting the production and distribution of sweet potato as a means to improve local nutrient intake – supported Caroline to acquire equipment and expand the bakery’s production. She began producing sweet-potato breads, donuts, scones, and cakes and selling them to schools and individual buyers in her community. Kinda Bakery uses locally sourced sweet potato flour to provide essential nutrients through their baked goods. However, although Caroline was achieving her goal of reaching local children and families with her products, and despite Kinda Bakery’s impressive growth, lack of technical and business skills threatened the bakery’s sustainability. In 2015, Kinda Bakery joined Solutions for African Food Enterprises (SAFE), a TechnoServe program in partnership with USAID and Partners in Food Solutions (PFS), that worked to increase the competitiveness of the African food processing sector and expand the availability of affordable and nutritious foods. 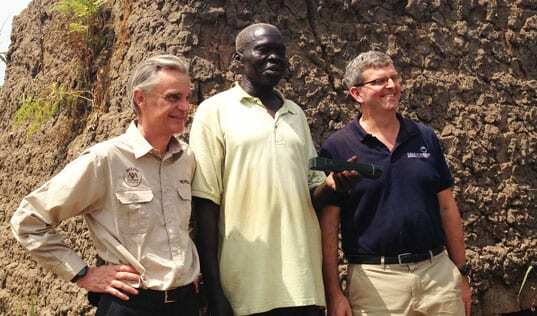 PFS is a non-profit organization formed by General Mills to link the technical and business expertise of volunteer employees from leading food companies - including Cargill, DSM, Bühler, Hershey and Ardent Mills - with food entrepreneurs in Africa. Alongside the SAFE team, Kinda Bakery set up a new workflow and floor plan that allows optimal efficiency, helping to increase production by 11 percent. Caroline took the training and consultations she received through the program to heart, closing the bakery down for a week to perform a deep cleaning and put best safety and hygienic practices into place. “When customers come to the bakery and see things have changed, the walls are bright and it’s clean, it has made us go a notch higher,” said Caroline. 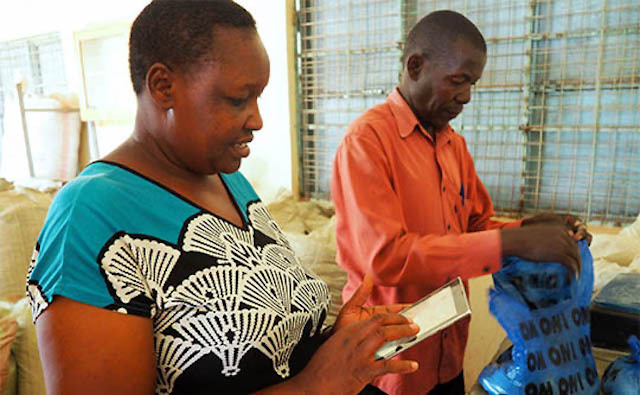 TechnoServe also worked with Caroline to establish recordkeeping practices that would allow her to track the progress of her business. Sales had previously been unstable with no strategy to enter new markets or sustain sales when local schools were out, so the SAFE team established a marketing plan that would enable them to reach new consumers. First, project staff conducted a market survey in Kendu Bay, identifying market needs, challenges, and opportunities for expansion. From the results of the study, the SAFE team identified a market opportunity for Kinda Bakery to produce biscuits using sweet potato flour. However, developing a nutrient-rich formula for this new product required expert technical knowledge unavailable in the community. Caroline also worked with the SAFE team to improve her business and recordkeeping skills, ensuring Kinda Bakery will continue to prosper long after the project ends. That’s where Rose Barry came in. Rose had been working in product development at General Mills for 10 years, developing yogurts, snacks, and baked goods, and when she saw the volunteer opportunity to support Kinda Bakery through PFS, she knew she could help Caroline to make her business and her community thrive. "I was intrigued by the project...I thought this would be an interesting challenge and something that would be helpful for the company." While other PFS volunteers supported Kinda Bakery with various challenges requiring their expertise, Rose had one vital mission – develop Kinda Bakery’s new, nutritious biscuit recipe. 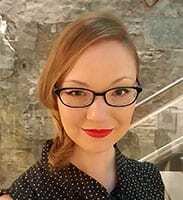 Using findings from the market survey and after several Skype conversations with Caroline, Rose created two biscuit formulas using sweet potato flour in the General Mills labs in Minnesota. These formulas were then sent to Kinda Bakery, who produced the biscuits and collected feedback based on flavor, texture, and sweetness. Armed with reviews from the local market, Rose was then able to perfect the recipe. Never ones to rest with more work to be done, Rose and Caroline are currently working on a new chocolate sweet potato biscuit formula as well. Thanks to months of work remodeling the bakery in Kenya and tinkering in the lab in Minnesota, the SAFE team and these two driven women have increased Kinda Bakery’s revenue by 23 percent, meaning they will be able to provide Kendu Bay with nutritious snacks for years to come. Read more stories from the SAFE program.